Working in the wine industry can be a pretty good gig sometimes. I have been fortunate to dine at quite a few amazing restaurants. I've met some wonderful people. I've traveled to beautiful cities. However, what really gets me thinking (and nostalgic) is when we taste through library wines. I mean, really, what job allows you to spend from 3 pm to the end of the day on a rainy Wednesday drinking 25 year old Zinfandel while nibbling on charcuterie, all in the name of "research"? Not many is the answer. 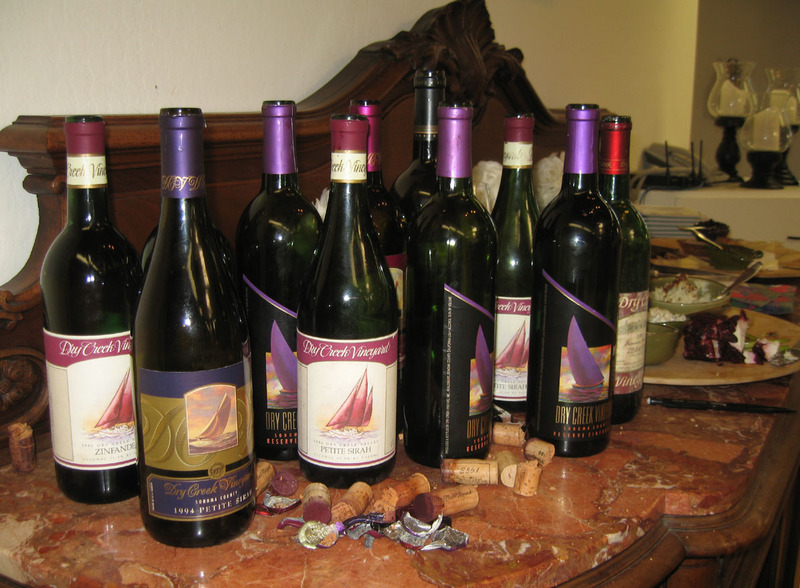 For the past several weeks, our staff has put together a library tasting of assorted Dry Creek Vineyard wines. The purpose is twofold. First, we want to evaluate the wines and see how they taste and if they are over the hill. 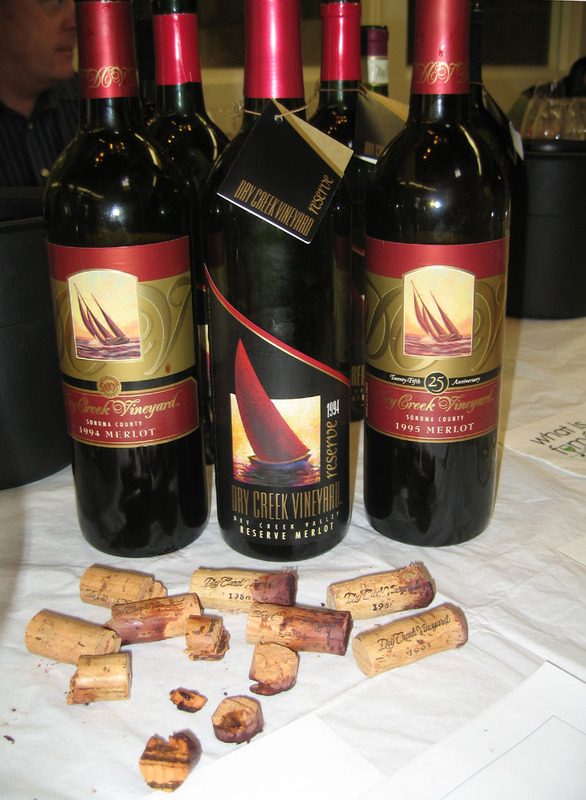 Secondly, we want to find out if we feel comfortable offering some of these wines in a re-release to our customers. So far, the tastings have been fascinating. I won't bore you with all of my notes but I thought it would be fun to at least share a few thoughts. 1981 Zinfandel - Love the nose! The wine is still extremely appealing with a creamy tart texture and cherry laced nuances. There's a hint of rosemary and herbs on the nose and the palate. There's lots of acidity which probably had something to do with how well this wine has aged. Great color. For a 31-year old Zinfandel this wine is showing really well. 1986 Zinfandel - Awesome color with a big, earthy and gutsy nose. Really nice tannins that are smooth and supple. The fruit leans toward boysenberry and cherry with some earthy tones. There are some leather components (not off putting) and is overall a wine that is supple and rich on the palate. I think this is a wine we could certainly re-release. 1994 Petite Sirah - what a knockout wine! This baby is still young and none of us could believe it. The fruit is intense and layered with wonderful spice and pepper nuances. There's an excellent plum and cherry berry fruit quality that is very appealing. Amazing. Of course, these were just a few of the wines that really impressed. There were, of course, some wines that were not showing well. We lamented for a while on the 1986 vintage which, for us, was less than stellar. I can't really recommend a DCV wine from that vintage. Overall, however, I was so happy and impressed with how our wines were holding up. Tasting these wines and looking at the labels, I reflected on all the memories - it's definitely a trip down memory lane. From my days on the bottling line as a kid to my first sales trip in San Francisco until now, there's been a lot of mileage put on this old car. But, what's great is that we keep improving. Honestly, our wines have never been better. Now that, I think, is something to toast about! Sounds like an awesome tasting Kim! 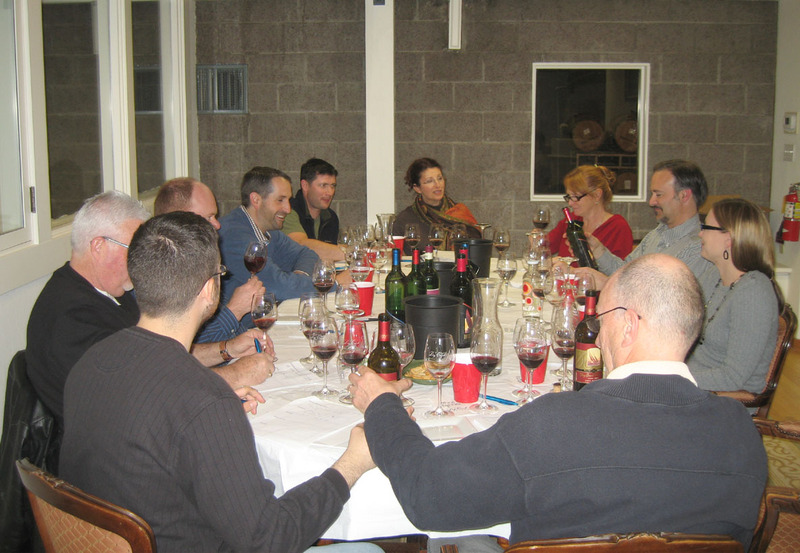 I would have loved the opportunity to taste those great DCV wines with you & your staff! I wonder how they would have paired with food? We had a nice assortment of cheeses, etc. but a real meal would have been delicious. I'll make sure to let you know if we put on a library tasting event at the winery so you can come! I look forward to it Kim. Do you think food could be used as a tool to in making wine - like in conjunction with the lab analysis or with the grape juice in terms of when to harvest the grapes? This page contains a single entry by Kim published on March 28, 2012 1:18 PM. We are the Champions! was the previous entry in this blog. Dry Who? is the next entry in this blog. This is a blog about what it's really like to be in the wine industry...so sit back, take a sip and enjoy! Is the Future of the Winery in Danger?